Here's the poster I designed for Artcrank SFO 2013. 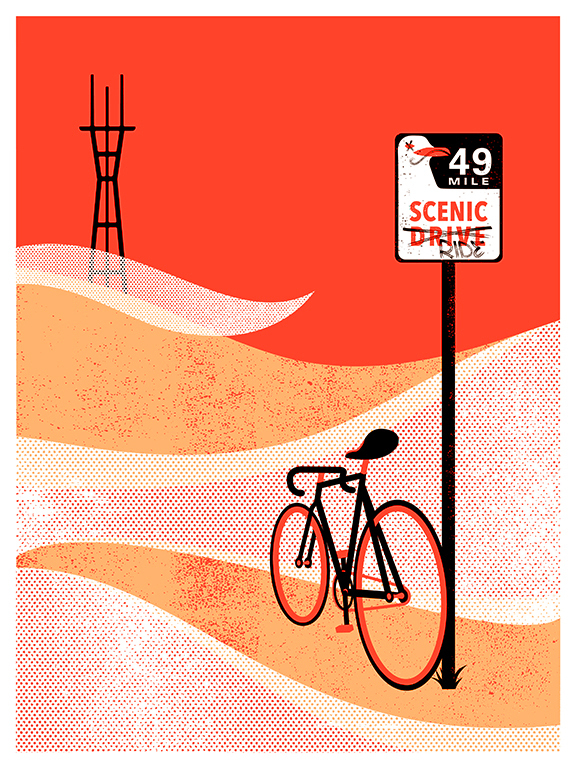 This was inspired by my bike rides around Twin Peaks and the old, weathered 49 Mile Scenic Drive signs up there. It was a real treat to showcase my work along with other amazing and talented Bay Area designers.